Thread: Unknown shrimp death . Hi , about a month or two ago I have posted enquiries about my shrimp unknown death . From then my whole tank wiped out slowly day by day , I decided to redo my whole tank with ans shrimp soil and cycle my tank till today I still facing death . Weekly 10-20% water change . Really hope anyone can enlighten me what's wrong with my shrimp tank I just can't keep them alive . Re: Unknown shrimp death . What type of shrimp you are keeping? You used Ammonia Chloride (ammonia) to artificially seed your tank last time. AC can be used for fish only tanks like Monster fish. For shrimp only tank, unfortunately not so, when you already have ANS soil to have factor bacteria growth. Coupled with the use of CO2. Might to good to share photos of your tank. Keeping fire red shrimp . Looking at past threads, I think your tank only has water sprite and anubias. Any reason why you need CO2? If you are using CO2, how are you regulating it? It is in sync with lights on and off? Oh, I see you are online. You are keeping Caridina or Neocardina shrimps. I assume your CRS refer to Cherry Red shrimp (not fire red or taiwan reds)? edit: Seeing that you are keeping Fire Red. 1) How do you acclimate the shrimp? 4) No. of shrimps in tank. Last edited by torque6; 24th Oct 2017 at 11:12. You are keeping Caridina or Neocardina shrimps. I assume your CRS refer to Cherry Red shrimp (not fire red or taiwan reds)? Looking at your timeline, it doesn't look like you finished your cycling , because you mentioned 1-2 months back, all shrimp wipe out. You restarted your tank again, and added shrimp when your new setup didn't finish cycling also. Do provide answers to 1-6 with a full image of your tank. Let see how to help you. It's a fully cycled tank the nitrate is 0 due to Too much duck weed . Before I add duck weed I have 5 ppm of nitrate. I using drip method over a course of 6-8 hours. I only use sl Aqua blue wizard for gh purposes and sl Aqua tm-1 both made for shrimp . No idea why people recommend drip method, over the course of 6-8 hours in a small container with example 30 shrimps, ammonia toxic would have reach high levels. Normal bag from LFS, split maybe 10/10/10 with 20mins intervals of 30ml of water for 2 hours will suffice. 6-8 hours abit over doing it. But that being said, would be good to have started with 10 shrimp because like i said in your past thread, adding of shrimp should be done slowly to help bacteria build up. API nitrate test kit bottle no.2 is faulty due to crystalization mineral, support staff recommend "shaking" the bottle for 2 mins before use, if you didn't do so, Nitrate will read 0-5ppm all the time, every time. I would also stop using water addictives like SL aqua blue or TM for the time being because I see people using normal tap water treated wit Seachem Prime with some driftwood/moss, floating plants and their Cherry shrimps all breeding, 6 months plus no problem. Cherry shrimp TDS tolerate has a wide range. Other than that, setup is ok, floaters, water sprite, ANS soil. Last edited by torque6; 24th Oct 2017 at 11:40. If I am not sure what they are, I probably won't add the additives to my tank. LFS usually recommend "rubbish" in hope you buy stuff, nothing more. The people who would usually help hobbyist is hobbyist themselves. I have 2 cherry shrimps in my tank (185L) for close to 11 months now and I dose seachem excel and copper supplements heavily. They are still alright. But then again, I have a large planted tank. If I start a shrimp tank, it would something like yours. In any case, start with a few and monitor. 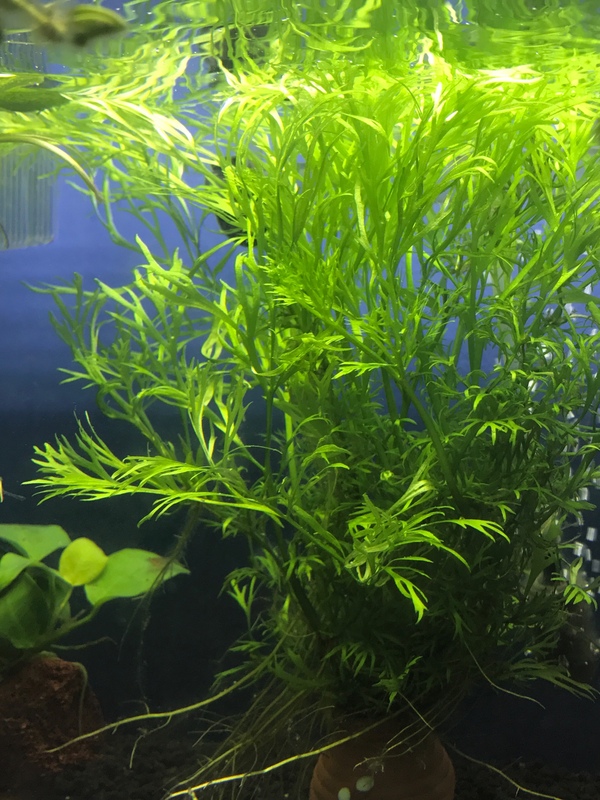 I also suggest buying shrimps from other LFS instead of C328 if you have problem with current stock. Seaview is also a good LFS. back then i converted my 1.5 yr old fish tank to a shrimp only tank. also face daily death due to the white band of death. Right now, no more deaths at all. all are molting fine and have berried shrimps. I dose with Azoo Triple Black water and SL Aqua TM-1. Add in SL aqua vitality every 7 days. These 3 new things that i did and there is no death anymore. I am using tm-1 but what's the other two?